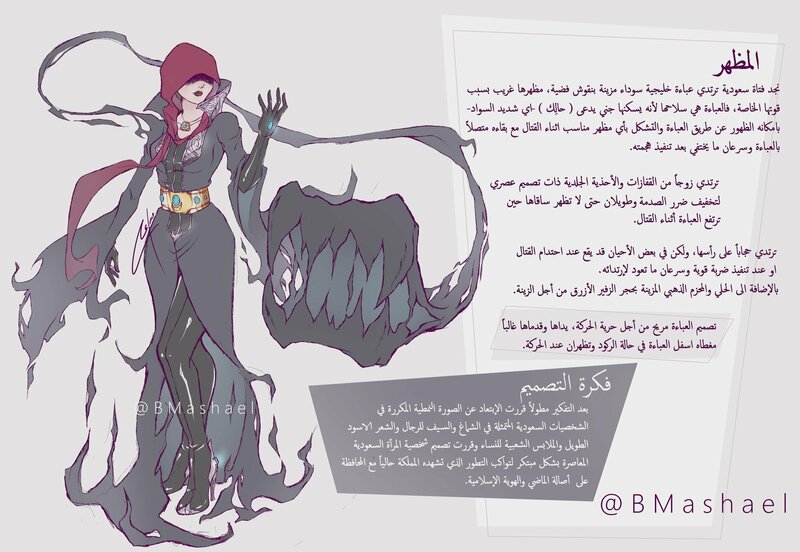 The design of the “Abaya” makes her movement very easy. She wears a pair of modern design long leather gloves and boots to decrease damage, and the appearance of her skin while fighting. 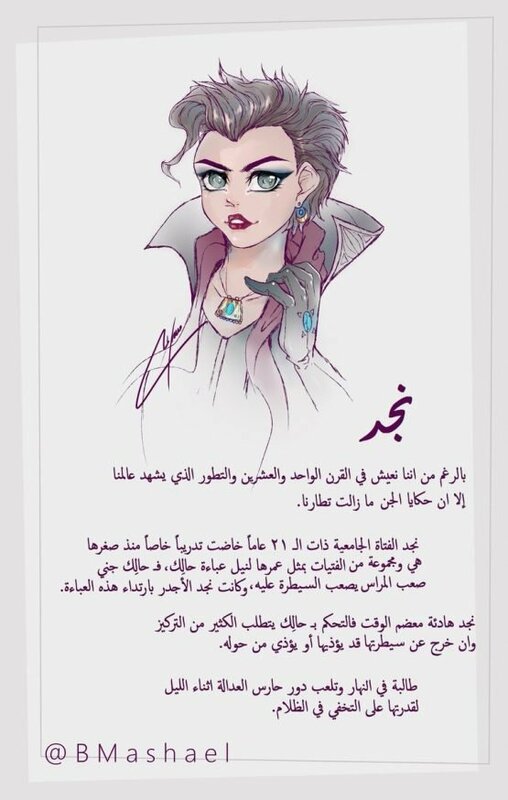 She also wears “Hejab” (veil) on her head, but sometimes it falls down while fighting or making a strong move and she will put it back fast on her head after that. She also wears jewelry and a golden belt decorated with blue stones. Another user added that Najd is a 21-year old university student.